March has been a pretty fabulous month for my blog and me. Celebrating a year of gluten-free blogging and my own birthday, there's been plenty of celebrations to go around. Throwing a spring break with two gluten-free expos in two states into the mix, and you can see why I feel whiplash from all that's been going on. Wrapping up the month, here's my round-up of my favorite products that have caught my eye this month. With all the tasting and testing, it's been fun to discover products from known and unknown brands alike. Back in my beloved Baltimore for the remainder of the spring semester, returning from spring break was a rude awakening. Don't get me wrong, I wasn't parting though my week-long break, but the abundance of awesome food and indulgence in Netflix I enjoyed all through the break came to a sudden end as I shifted back into school mode, and began to prepare for papers, midterms, and the daily challenges of being a student who is self-sufficient in the dining department. Knowing that I my supply of food and non-food necessities was growing short, my mom flew up the weekend after I returned to take me on a two day adventure through Costco, Wegmans, and other outlets to restock my dorm and mini-fridge. Finding ourselves in Baltimore city during the dinner hour, I set my sights on Canton neighborhood's Verde Pizza, which has been tempting my tastebuds for awhile now. In my adventures through town, I've found that Baltimore has several great gluten and dairy-free pizza restaurants, so I entered the experience with the highest of expectations. When it comes to dining out, I often shy away from major chains in favor of local restaurants and cafes with a proven record of accommodating guests with dietary restrictions. However, in keeping my finger on the pulse of what's going on in the world of dining out gluten-free, I cannot ignore the buzz around some big chain restaurants. Maggiano's Little Italy is one such restaurant with nation-wide presence that I have heard rave reviews of from fellow foodies and gluten-free patrons. While in Charlotte, NC for the Gluten and Allergen Free Wellness Event during my spring break, a glutening and exhaustion from exploring the super busy and crowded show floor left me craving comfort food. In scoring the plethora of restaurants in and around the South Park Mall area, I set my sights on Maggiano's wanting a big bowl of comfort food in the form of pasta. March Madness is a series of fun posts and giveaways I'm planning for March to celebrate my blog's 1st birthday. Join the madness and stay tuned for more fun to come! I just cannot believe it. My little "side project" blog has been up and running for a year now and has helped me expand my boundaries and eat things I thought I would never be able to eat again when starting out a year ago. I starting Eating Out Without months before graduating high school. Already familiar with blogging through my work on a different blog, I wanted a change of subject and pace, so sought out a new project I could take with me and continue in college. I found my inspiration through the realization that I had an unusually large collection of food photographs on my phone, and that I was quickly losing interest in the few restaurants around me I trusted to accommodate my gluten and dairy-free needs. At that time, I was three years gluten and dairy free, and finally felt as if I had mastered- or at least understood- the intricacies of cooking and eating with dietary restrictions. Regaining my taste for adventurous eating I had lost post-diagnosis, I saw this new platform as a way to educate myself and others to hidden culinary gems in my own backyard. Along the way I have learned a lot, and have discovered a wealth of gluten-free restaurants and products along the way. My spring break was pretty darn good on the gluten-free front. Homecooked meals erased my week-to-week college survival struggles, and the opportunity to attend not one but two gluten-free expo events made me eat well and be super happy. The second of these two expos was the Charlotte Gluten and Allergen Free Wellness Event. Promising to bring together local and national brands, local practitioners, and expert speakers to educate and inspire, the event really excited me and was the perfect way to finish off my break with a bang. My trip to Charlotte, NC for the Gluten-Free and Allergen-Free Event was a jam-packed 48 hour period filled with a whole lot of gluten-free food, one horrible glutening, and having to change hotels mid-day on the day of the event. Never one to let trip ups and slip ups get me down, my mom, sister, and I sought out a fun, low-key way to end our last night together before I jetted off back to Baltimore the next morning. We selected Zoe's Kitchen in Midtown, which proved to have something for each of our tastes and was only a few minutes from our hotel. As a teen who's a college student, pizza is safely one of my favorite foods. It's flexibility and easy assembly is a bonus for me as I often need quick-cooking meals that use the ingredients I have on hand. When gluten-free giant Schar reached out to me to taste test their reformulated pizza crusts as a part of their gluten-free blogger team, I couldn't say no to the possibility of finding a perfect pizza crust for my busy lifestyle. With most store-bought crusts leaving little to be desired in the taste and performance department, I've found limited success with crusts mixes, while good, require a little too much prep time for a practical weeknight meal after classes. Schar's crust, on the other hand, comes fully baked and is ready for a splattering of sauce and scattering of toppings before a short bake time renders it ready to go. 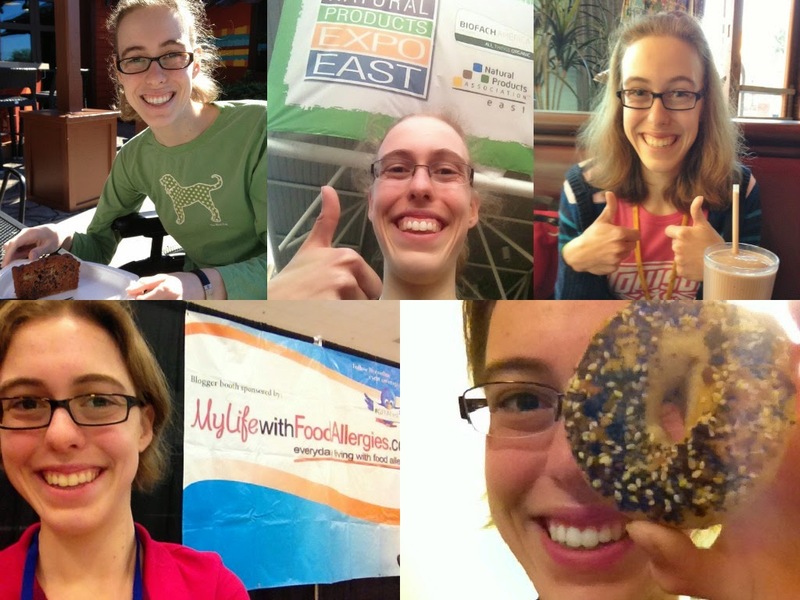 March Madness: Tampa Gluten-Free Food Allergy Fest Recap and Giveaway! When it comes to gluten-free expos, I've enjoyed discovering this aspect of gluten-free living over the past year, and am lucky to be able to attend the few I find that come to my neck of the woods. When awesome vendors, free samples, and been-there-done-that speakers can come together in one space to educate and inspire, you cannot leave one without feeling reinvigorated and excited about the wider world of being gluten-free. When I discovered that Living Without Magazine would be bringing their Gluten-Free Food Allergy Fest to Central Florida, I knew immediately I wanted in on the action and eagerly signed up as an official blogger for the event once I realized that the event and my college's spring break coincided. After enjoying a wonderful brunch at Raglan Road, an authentic Irish pub and restaurant in Downtown Disney, I knew I wanted to go back for more and selected it as the spot for my birthday dinner. Besides, my birthday falls on the weekend before St. Patrick's Day, and there's no better place to party in Orlando on this day of Irish-mania. After a busy day at Living Without's Gluten-Free Food Allergy Fest in Lakeland, the short drive to Downtown Disney was a welcome escape from being in the same convention center for a full day, and I knew I couldn't wait to get real food to eat after nibbling on snack food and sweets all day. Not realizing beforehand that my birthday dinner would fall during their week-long Mighty St. Patrick's Festival, I was discouraged by the hearty crowd, but soon relaxed as the infectious live music and party atmosphere won me over. After the closing of the Downtown Disney location of Babycakes NYC last March, I was bummed to think that Orlando would lose the vegan, gluten-free bakery chain forever. As fate would have it, Babycakes stuck around and continued their partnership with Disney as they continued to make custom creations for guests and offered a slim variety of products throughout the resort. Last year, it was announced that they'd make a triumphant return to the waterfront marketplace. From afar, I longed to visit the Bakery's opening events, but consoled myself by making a point to visit during my Spring Break. After selecting nearby Raglan Road as the location for my birthday dinner, a trip to Erin McKenna's Bakery (Babycakes' rebranding) was in order for the perfect dessert to celebrate. Located between Pleasure Island and Marketplace, the new storefront is easily accessible and loaded with plenty of sweets for every member of your family- and any special diet they may have! Orlando is coming into its own as a growing foodie town. Increasingly us gluten-free eaters are finding more access at local restaurants, but vegans too are joining in on the fun. When it comes to vegan food in Orlando, a good place to start is Ethos Vegan Kitchen in Winter Park. Featuring a 100% vegan menu that can accommodate soy and gluten-free diners, Ethos is a place to be for folks of all dining variety- and even those who are "normal." As I made my return home for spring break after an cold, review-restricting semester, I suggested that my mom, sister, and I stop at Ethos after picking me up at the Orlando International Airport for a celebratory lunch that's safe for our varied diets as I am gluten and dairy free and my sister is vegan. 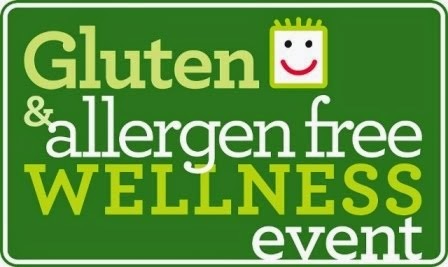 March Madness: Charlotte Gluten-Free and Allergen-Free Wellness Event and Giveaway! Spring Break is shaping up to be a gluten-free affair for me as I will be attending two gluten-free and allergen-friendly expos in two different states! Such is the life of a gluten-free blogger. When it rains... it pours. 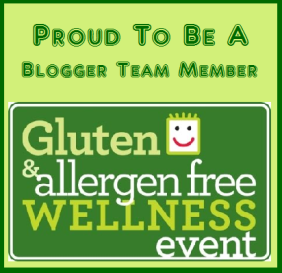 You may have caught on to the fact that I will be in attendance of the Lakeland/Tampa Gluten-Free Food Allergy Fest as an official fest blogger. This event is not the only event that caught my eye though! Enter the Gluten and Allergen Free Wellness Event: This travelling event promises to pack speakers, presenters, and full vendor expo into a single day to bring together the best of the local and national gluten-free community. The event will take place on March 21st in Charlotte, North Carolina, which will be a big adventure for me as I have not been to the state since going gluten-free. Read on for more info and the chance to win a golden ticket to the event! When it comes to a typical college kid's diet loaded with processed, fried, and greasy food, mine is a bit abnormal as my mini fridge is disproportionately used for storage of fresh fruit and veggies. Not one to miss all the fun however, I couldn't resist the temptation of Annie's Homegrown new gluten-free bunny cookies while on a Target shopping run. The brightly colored packages were just begging to be bought, and the extra incentive of a "buy four get one free" sale soon had me loading my basket with a good mix of their snickerdoodle and cocoa/vanilla flavors. Perfect for kids young and old (and us adults too! ), these fun-shaped cookies proved to be a perfect investment, as they successfully pulled me through several study sessions and snow days alike. This past week has not be the best of Maryland weather. With icy rain on Tuesday, continuous rain on Wednesday, and the whole mess freezing into a winter storm on Thursday, I was battling my own winter storm of sorts. With my food stores depleted leaving me little fresh fruit and veggies, I realized far to late that I would have to sustain myself for the three day period without an emergency grocery run. By Thursday, fierce snow had me snowed in by mid-morning. Knowing that I had to get "real" food to break my five day streak of homemade pizza, I turned to Order Up Towson, the restaurant delivery service I tried out last month. Despite the wintry weather, they thankfully had drivers on duty, and Towson Tavern was open for business and had a dedicated gluten-free menu. Ah February: the month of groundhogs, love, and all too soon comes to a end after 28 days. After the whirlwind that was January for me, February has proven to be a test of time as the winter weather had me snowed in much of the month and the endless demand of academic work and other obligations has me racing from commitment to commitment. While I was not able to get out and explore as many restaurants as I would have liked, I did get the opportunity to check out new products that caught my eye after spending a month back home in the Sunshine state. Of the many perks of going to college out of state, one of the best for this collegiate foodie is getting to taste and try many regionally exclusive products not found in one state or the other. This month's round-up of gluten and dairy free products that caught my eye were specially selected for their versatility and easy of preparation as I transitioned from dining hall dependence to cooking 100% for myself every meal of the day. While it hasn't been easy, I've noticed that I'm a lot healthier, happier, and free from the stress and worry of not knowing what I can eat or if it's truly safe. Us gluten-free folks have all too often become accustomed to super expensive, sub-par pizza options when dining out. Usually these cardboard-like imitations of the pizza pies we once enjoyed without worry are watery, gummy, undercooked, and/or too flimsy to support toppings of any substance. Throw in a dairy intolerance, and your options are even more limited as pesto, cheeses, and other pizza toppings are dangerous landmines of potential cross contamination. Always on the lookout for a great gluten-free pizza, I have eaten around Orlando and Baltimore and have found that gluten-free pizzas are a hit-or-miss gamble. While I've found neighborhood joints that I feel comfortable with, as a busy college student, I default most often to homemade pizza because I can completely control the making of it. Not giving up on the prospect of a budget-friendly, downright delicious pizza, I was super excited to get an invitation to check out Pizza Studio, a new pizza joint opening in Baltimore's Charles Village on March 6th. Despite the threatening snow, sleet, and rain, I braved the trek south, near Johns Hopkins, lured by the prospect of complementary pizza and getting a firsthand look at the protocol and processes behind their gluten-free pizza.